Tempered vs. Nontempered Glass: What’s the Difference? When you install new windows in your home or business, you will often have the choice of installing either standard, nontempered glass or tempered glass. While you might not spend a whole lot of time deciding which one is better for you, you should think about what makes them different before ultimately settling on your final selection. 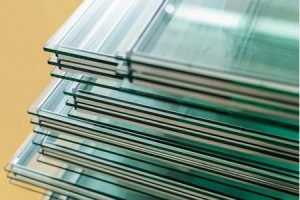 Nontempered and tempered glass will react very differently when they are broken because they go through different production processes, so you should get to know more about each of them when picking out new windows. Nontempered glass – or more simply, standard glass – is made by utilizing a process that cools glass down very quickly. This is beneficial to the companies that make glass because it allows them to make more glass in a shorter period of time. Standard glass is popular for its versatility, making it easy for companies to cut, reshape and polish glass. This nontempered glass is more fragile, however, because of the rapid cooling process. This means that it can more easily fracture or shatter, and when it does, it is far more likely to create large, jagged and sharp pieces, making standard glass much more of a hazard when broken. Tempered glass, on the other hand, goes through a different process when it is produced. Unlike standard glass, tempered glass is cooled much more slowly during the annealing process which allows it to be much more sturdy and strong than its nontempered cousin. This glass won’t break as easily, and if it does, it will shatter into much smaller pieces with fewer sharp edges. The one major downside of tempered glass, though, is that it can’t be reworked as easily as standard glass which means that it needs to be formed to fit when cooling. However, the dramatic improvement to safety makes it ideal in commercial environments or anywhere that might be subject to an impact during day to day use. At Affordable Glass & Mirror, we realize that not everyone knows everything there is to know about glass and windows. Not worry though – we’re experts in everything glass! If you’re currently shopping around for window glass, patterned glass or any similar products, call on us for our expertise. We would be more than happy to help you pick out the perfect glass for your situation. Call us at 404-361-5151 today or stop in and see us in Lake City, Georgia today for assistance.